According to the WHO, the deaths of about 60,000 children aged below five years in 2016 could be linked to their exposure to PM 2.5. New Delhi: A new report by the World Health Organisation says India saw 60,987 deaths of children under five years of age in 2016 that could be linked to their exposure to PM2.5. The death rate for this bracket per 1,00,000 is 50.8. India is the country with the highest number of deaths in this age bracket. Nigeria with 47,674 deaths, is a distant second in this list, followed by Pakistan with 21,136 deaths and Democratic Republic of Congo with 12,890 deaths. In the same age bracket, 6,645 deaths in China were attributed to pollution. 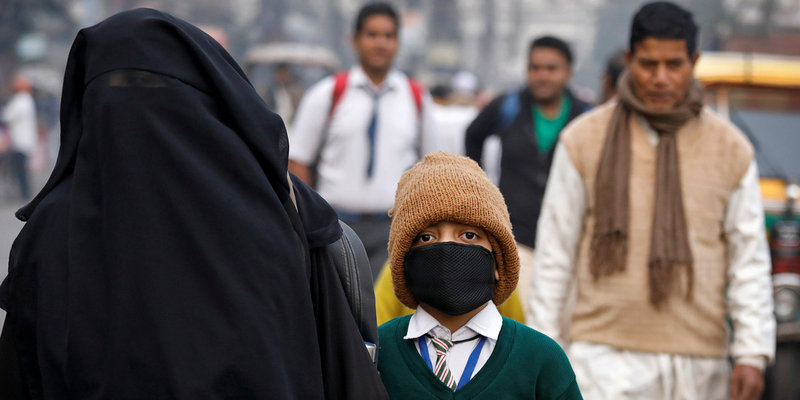 In India, more girls under the age of five died than boys due to pollution. About 32,889 girls died, compared to 28,097 boys. In the age bracket of five to 14 years, India also saw the deaths of 4,360 children in 2016. Across both these age groups, over 1 lakh children died in India due to both ambient and household pollution of particulate matter 2.5 in 2016. Four key studies on health in India linked to pollution have fed into the writing of this report: a 1991 study on perinatal mortality; a 2009 study on adverse reproductive outcomes; a 2010 study on low birth weight & still birth and a 2013 study on still births in India. The pollution crisis in India has been urgent for years: 14 of the 20 most polluted cities of the world are in India, according to the WHO. India faces the highest air pollution related mortality and disease burden in the world. More than 2 million deaths are said to occur prematurely in India due to pollution and this accounts for 25% of the global deaths due to air pollution. At a global level and specific to the impact of pollution on children, the WHO says that more than 90% of the world’s children (1.8 billion) breathe toxic air every day. Out of this, in 2016, 600,000 children are estimated to have died from acute lower respiratory infections caused by dirty air. While in low and middle income countries, 98% of children under five are said to be exposed to PM2.5 of pollution, in high income countries, this number nearly halves to 52%. WHO’s new report looks at both ambient (outdoor) and household pollution and its impact on the health of the world’s children, especially in low and middle income countries. Children are affected by pollution both during pregnancy and after being born. Pregnant women exposed to air pollution are more likely to give birth prematurely. Babies are vulnerable to the effects of pollution as they breathe more rapidly than adults, absorbing more pollutants. Because of their height, children pick up pollutants easier as well. As their bodies and brains are still developing, it also affects them more. 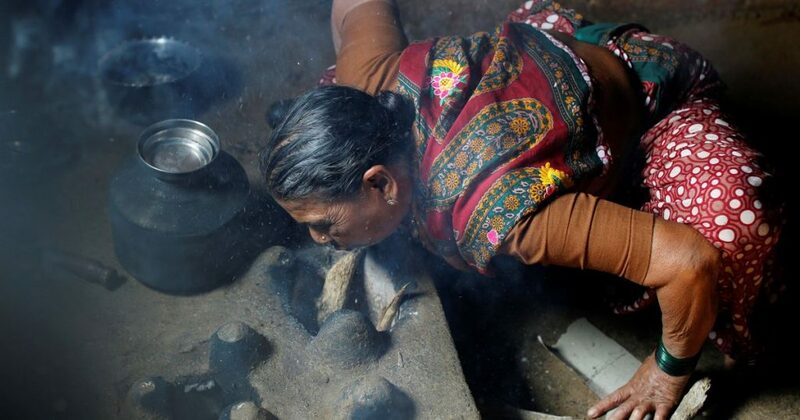 Moreover, given that children are often at home and homes in low income countries still burn polluting material like wood and kerosene for cooking, children end up facing the adverse impacts of both outdoor and indoor pollution. Pregnant women living in highly polluted areas often have babies who suffer from a range of issues including low birth weight. In the long run, air pollution impacts the neurodevelopment of the child, their cognitive abilities and motor development. It can trigger asthma and childhood cancer. In their adult life, these children are at greater risk of chronic diseases such as cardiovascular disease. The WHO is urging countries to adopt many urgent measures to bring down pollution. This includes switching to clean cooking fuels and heating technologies, moving to cleaner transport, having more energy efficient home and urban planning. Power generation needs to be made more low emission. ‘Community air pollution’ needs to be tackled such as discouraging community practices of waste burning. Children should specifically be kept away from dirty air- Schools and playgrounds should be kept away from major sources of air pollution like roads, factories and power plants.